Munin was launched from Vandenberg Air Force Base (VAFB) on November 21, 2000, 18:24 UT (19:24 Swedish time, 10:24 local time in California). 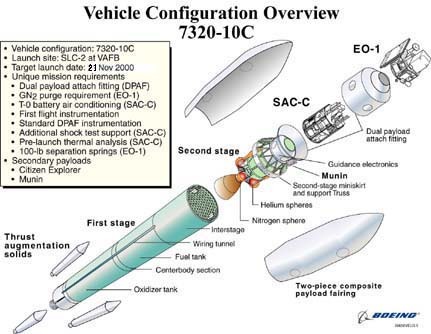 Munin was launched as a secondary payload together with the NASA remote sensing satellite Earth Observing-1 (EO-1) and the Argentinean satellite SAC-C. 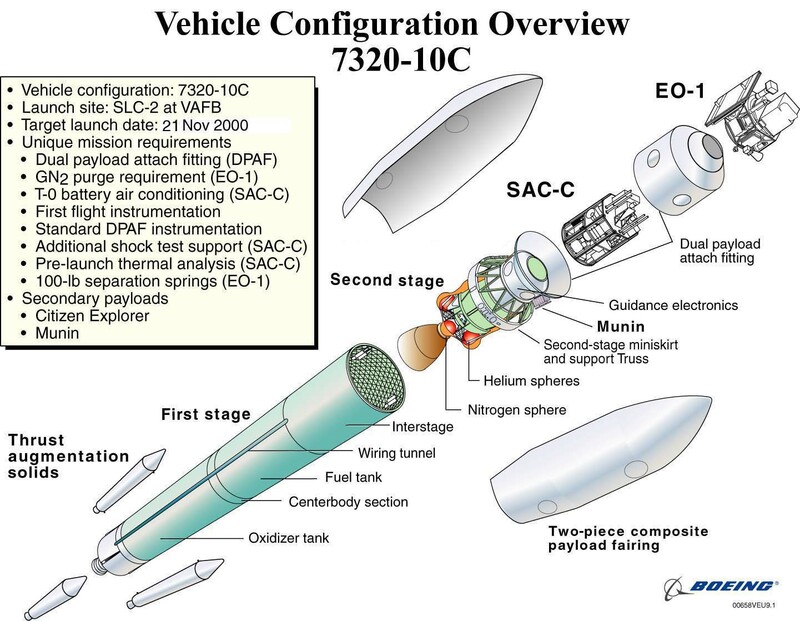 The launch vehicle was a Delta-2 7320-10C. Munin was placed in an elliptical orbit, 698 x 1800 km, at 95.4 degrees inclination. The Munin team at VAFB consisted of Olle Norberg and Walter Puccio. We arrived at Lompoc (the city closest to VAFB) on October 29. Click on the links on the left to view the different pages of the diary.